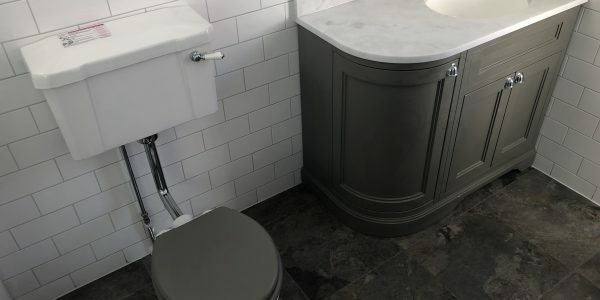 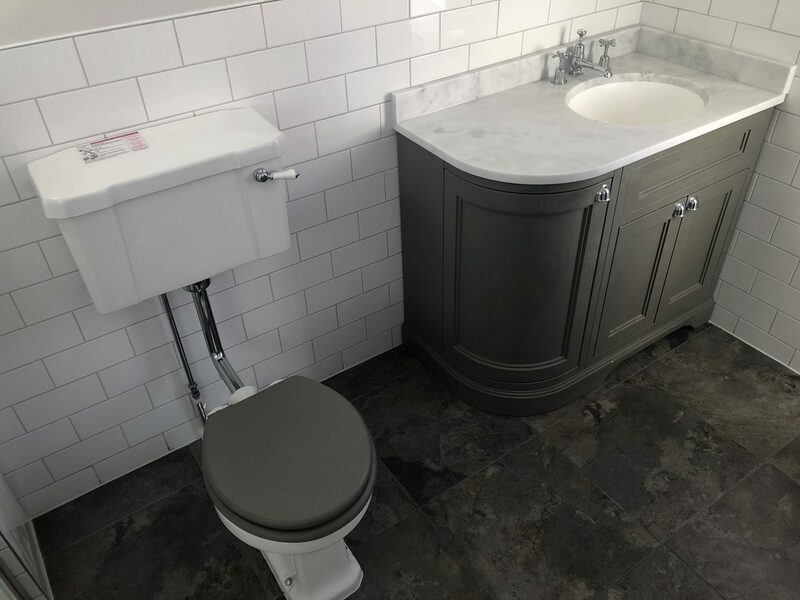 Completed by BPS Kitchens & Bathrooms, this modern take on a classic bathroom was completed in January 2019. 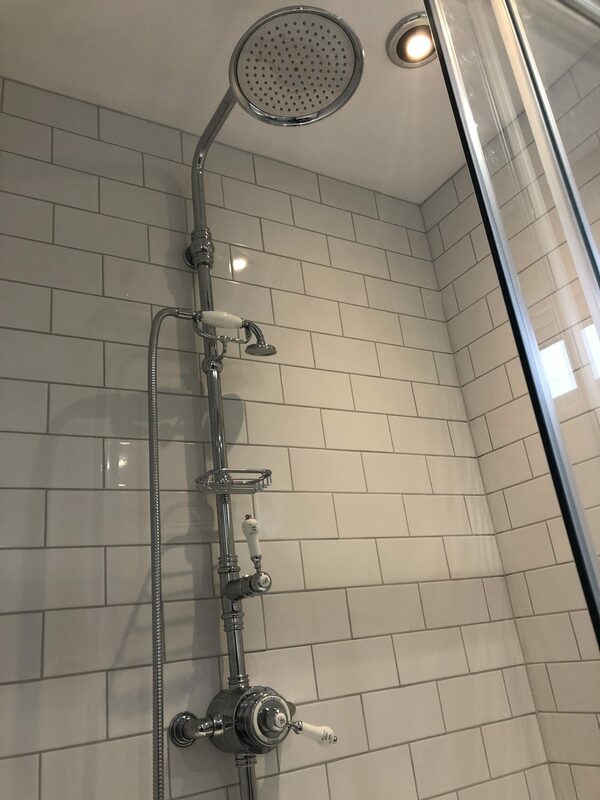 The entire suite is Burlington and the bathroom walls have been fully tiles around the shower with a half wall tile throughout the rest. 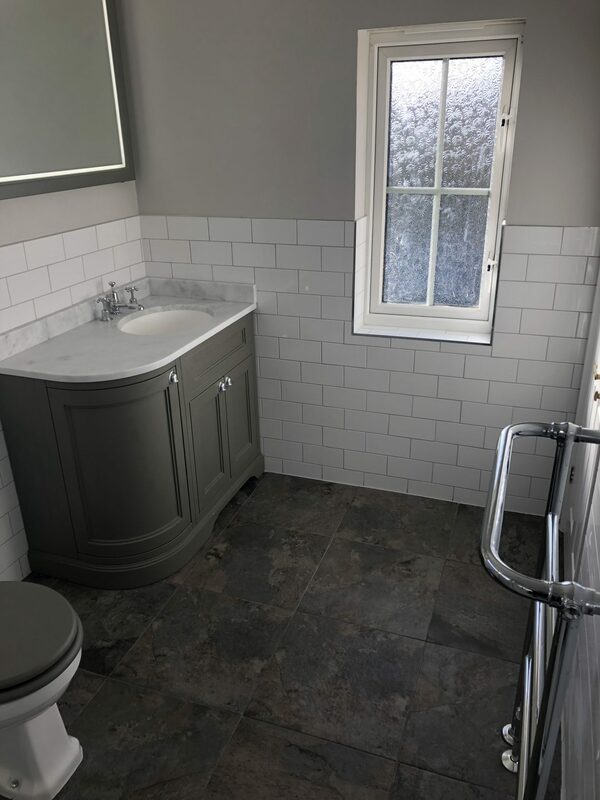 The existing suite was removed and where required, the walls were prepared with a cement board to ensure a flat surface for bathroom tiling. 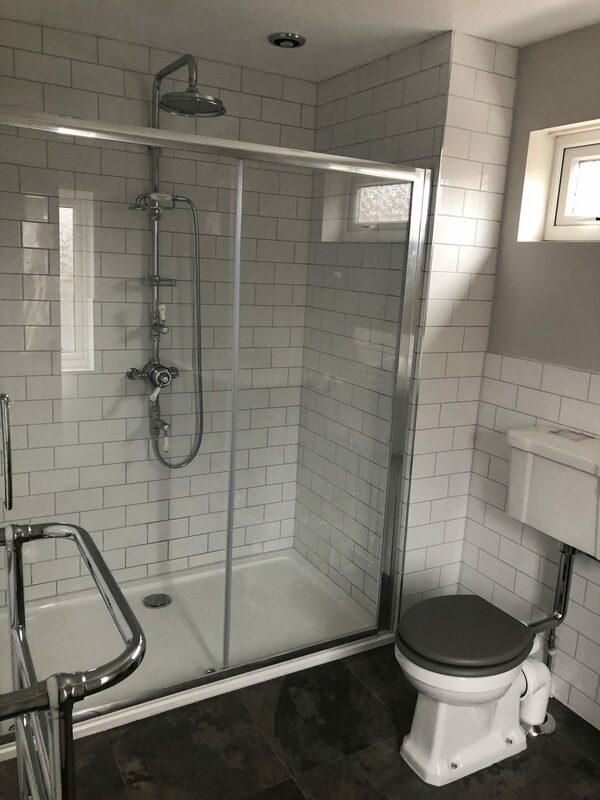 This was not a usual bathroom refit. 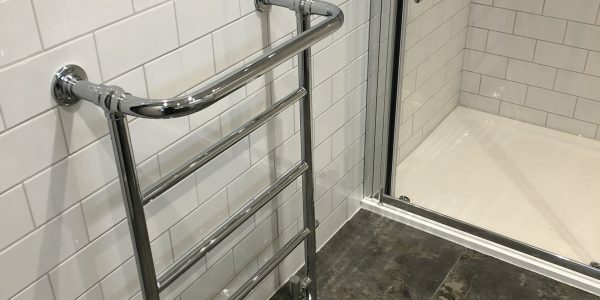 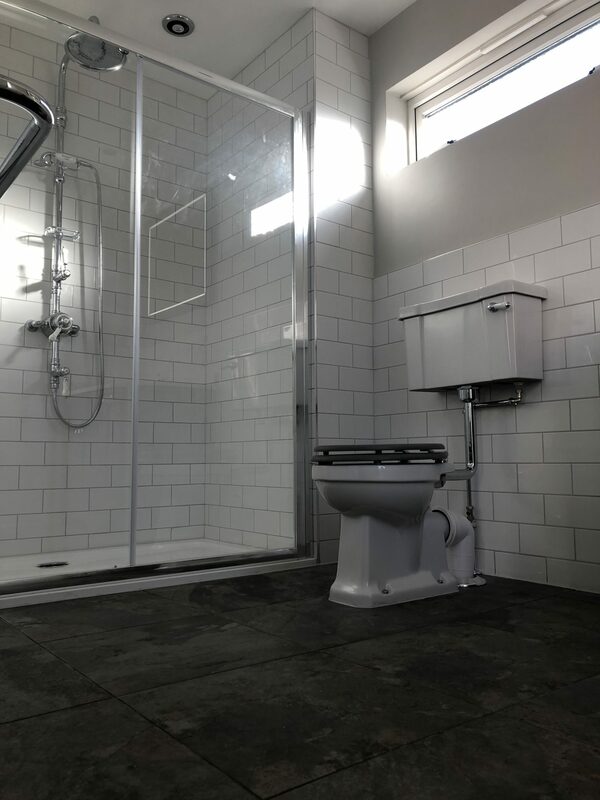 Due to the poor quality of the existing floor, a brand new 22mm floor was installed throughout the bathroom to provide a solid floor. 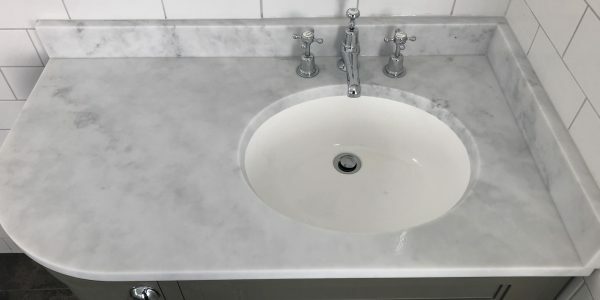 This was followed by 6mm cement board to give the perfect surface to tile onto. 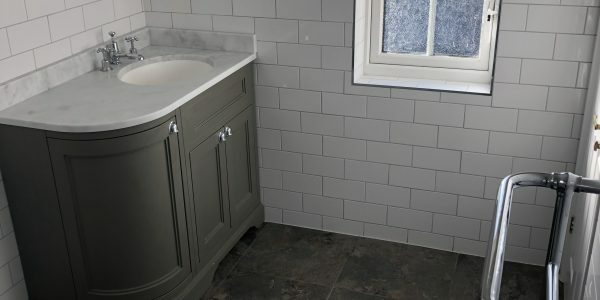 The floor was tiled and finished off with a dark grey grout. 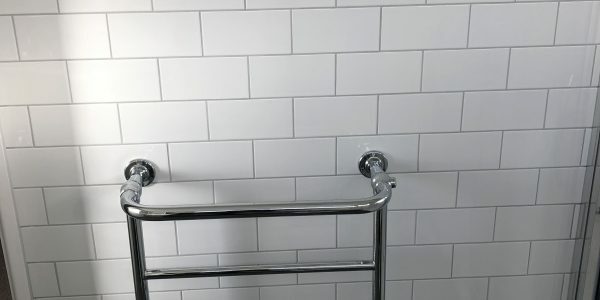 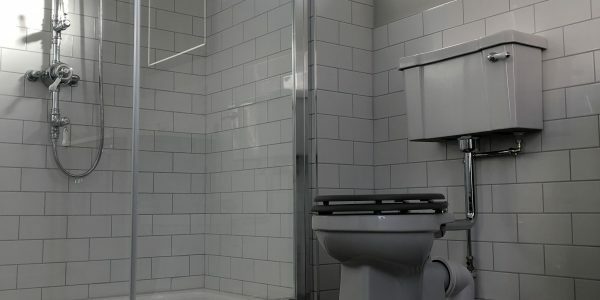 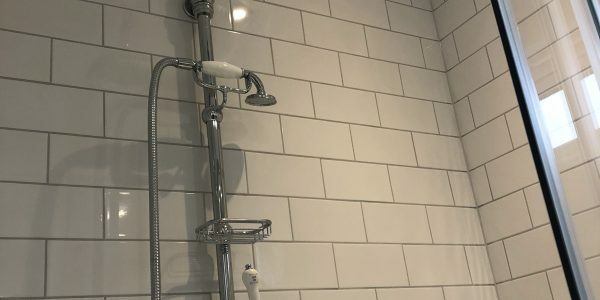 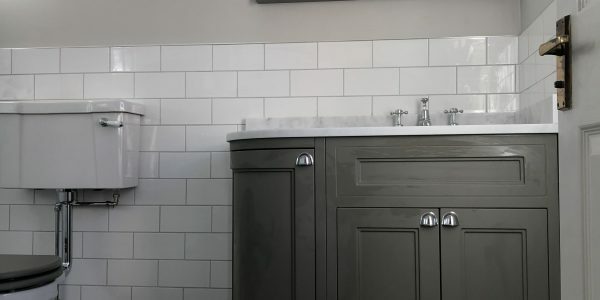 The walls were tiled with small metro tiles and finished with a light grey grout. 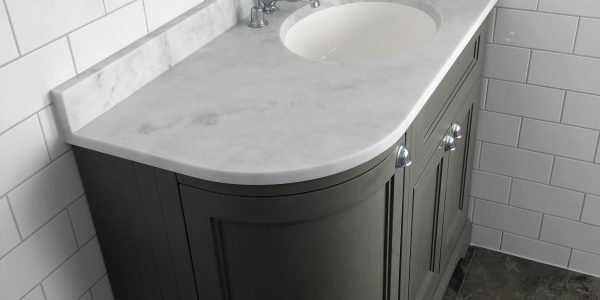 A square edge chrome trim was used to complete all edges. 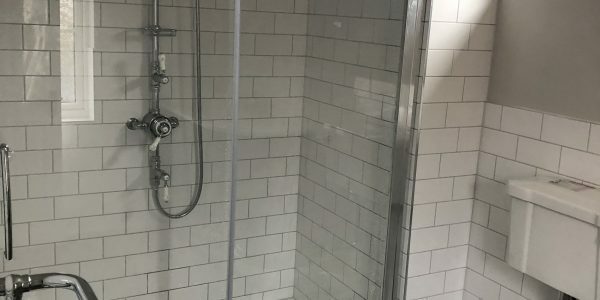 The Burlington Stour shower was fitted new mixer shower was fitted over a new 1.6m shower tray. 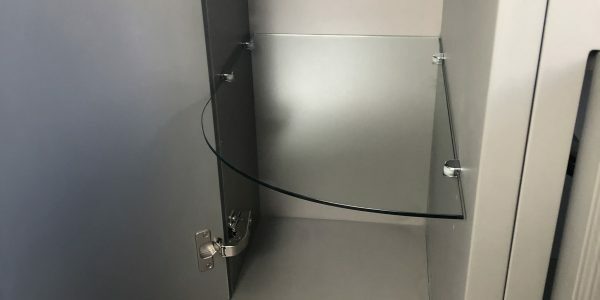 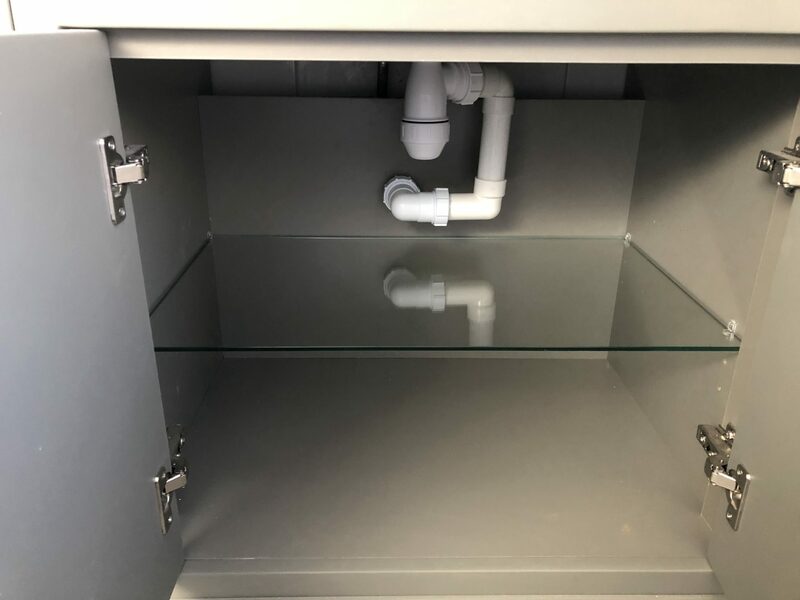 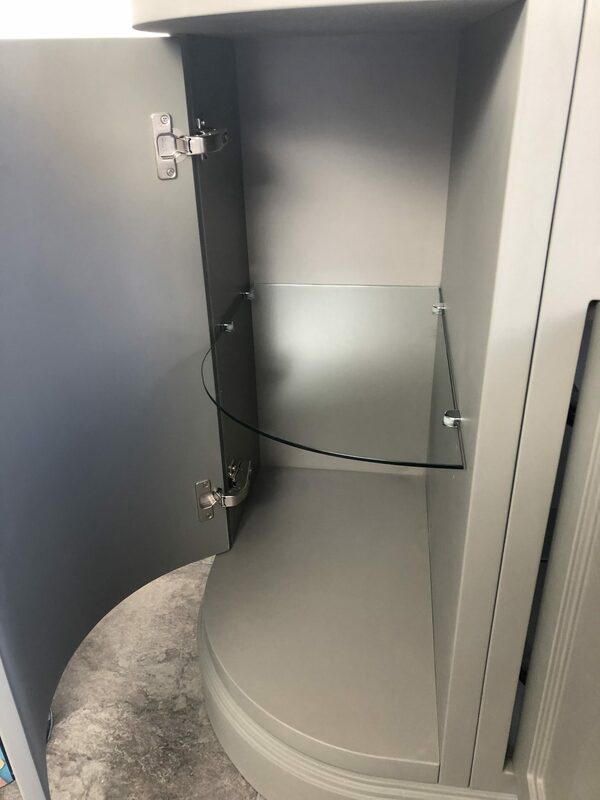 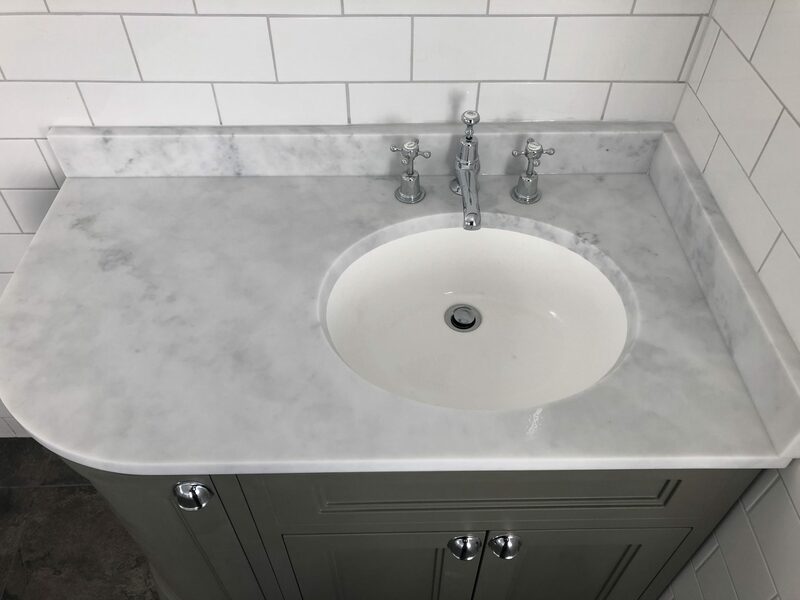 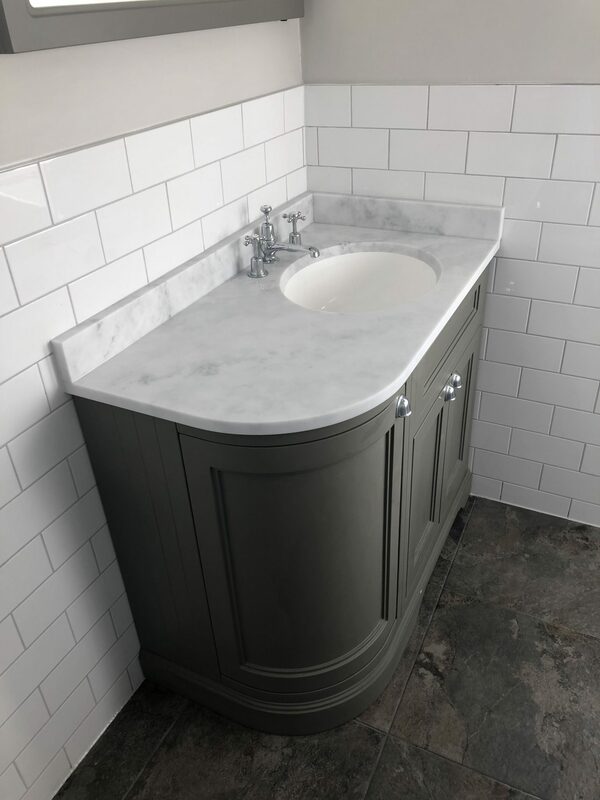 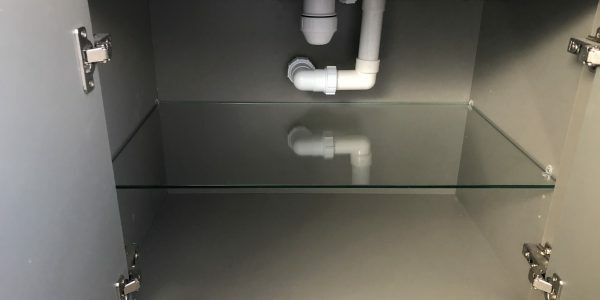 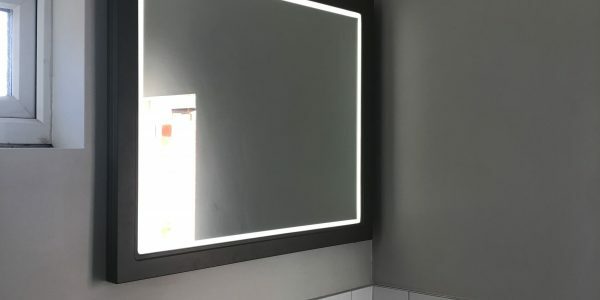 A new electrical feed was fitted to allow a large Burlington LED mirror to be hung over a brand new curved Dark Olive vanity unit with a stunning curved integrated white Minerva Carrara basin worktop. 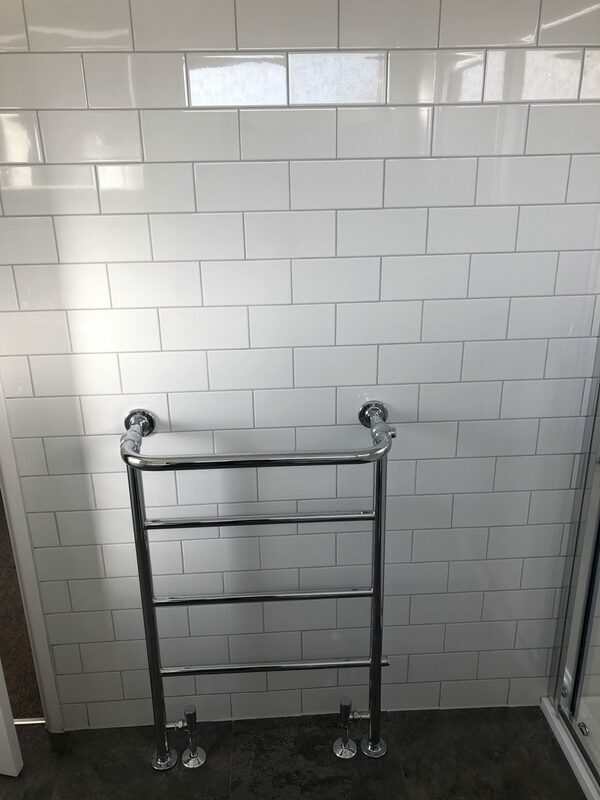 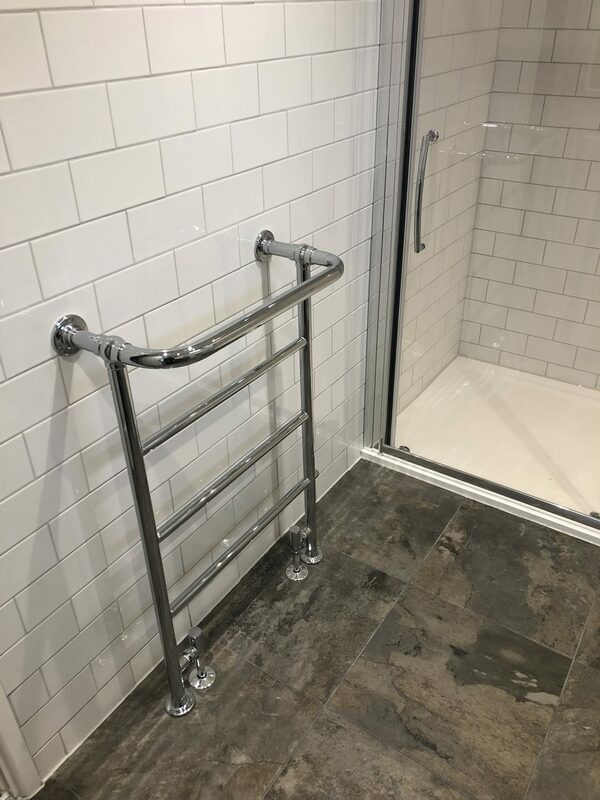 As well as a medium level toilet / cistern, the stylish Berkeley towel radiator was fitted providing a generous amount of heat to the room. 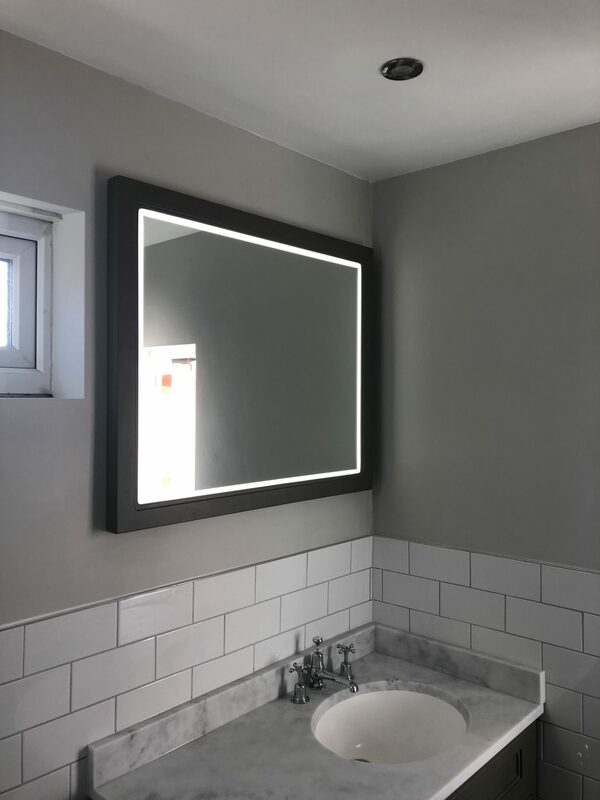 A new extractor fan and 5 x downlights were installed by our qualified electrician and a full electrical test and certificate was supplied. 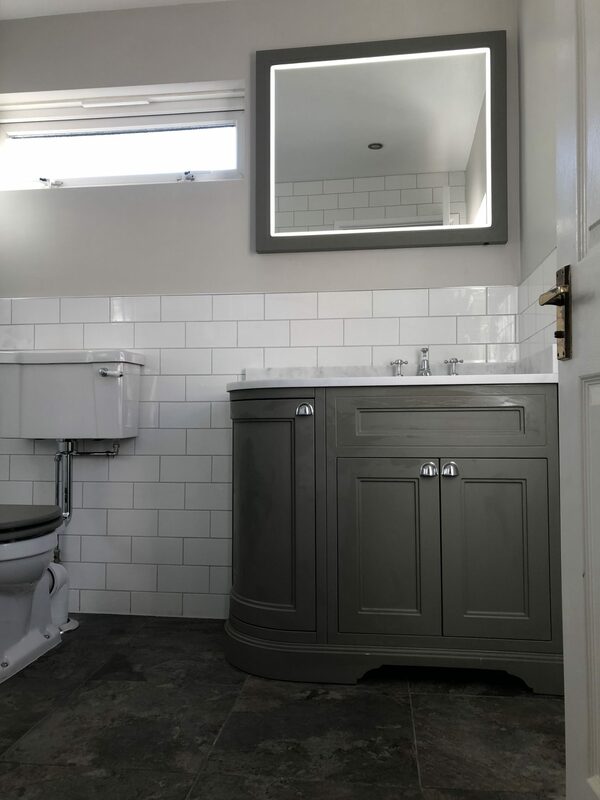 Lastly, we fully decorated the ceiling, walls and door using Dulux Bathroom Pebble Shore on the walls and Absolute White on the ceiling.